Flats : Abbeyfield Solent Society Ltd.
We provide residents with private accommodation, the companionship of others and excellent home cooked food by the resident housekeeper if needed. 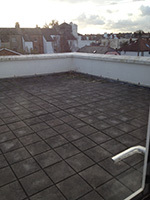 Flat 5A - 3 roomed flat with ensuite shower room and balcony. Double bedroom. Flat 5B - 5 roomed flat with separate kitchen and toilet. Large shower room and double bedroom.These two flats share a communal room on the top floor which leads out to a sun terrace. 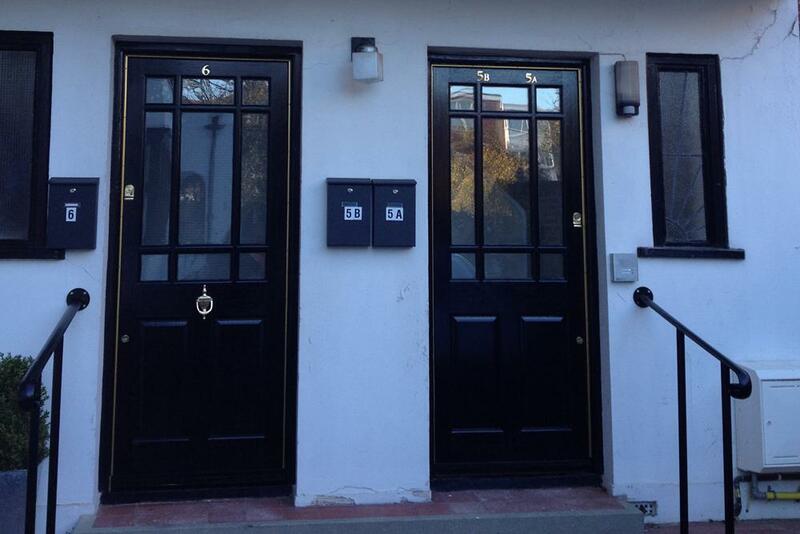 Flat 6 - 4 roomed ground floor flat with separate kitchen and ensuite shower room to double bedroom. Separate living room which leads out to garden through French doors. Flat 5A - 3 roomed flat with ensuite shower room and double bedroom. Terrace from living room. 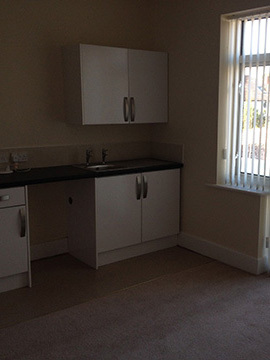 Flat 5B - 5 roomed flat with separate kitchen and toilet. Large shower room and double bedroom. These two flats share a sun terrace on the roof. Southsea is a seaside resort located in Portsmouth at the southern end of Portsea Island in the county of Hampshire. Southsea is within a mile of Portsmouth's city centre. Jane Gillitt House / Flats offers affordable, high quality living for people who want to be as independent and self-reliant as possible without the worry of maintaining their own home. Jane Gillitt House / Flats provides our residents with the privacy of their own accommodation combined with the companionship of others, home cooked meals, and the security and support of dedicated house staff.